Provided are the address location, type of motorcycle tests provided and other facilities for motorcycle riding test centres in Gwent, Wales. 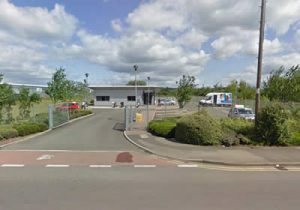 Within the Gwent area, there is currently a single motorcycle riding test centre. The Newport motorcycle riding test centre, provides Module 1 (off-road) and Module 2 (on-road) practical tests. Both modules (whichever test centre you attend) can only be taken from DVSA (Driver and Vehicle Standards Agency) practical riding test centres, of which are detailed below along with services offered. Riding test routes are designed and planned by the module 2 examiner who conducts your tests. They largely remain the same though they can be altered over time due to changes in roads, or even on a daily basis due to traffic or weather conditions.